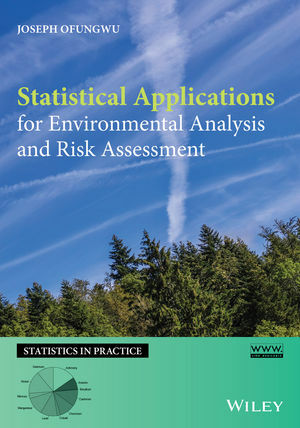 • Clear demonstrations of the crucial, but often overlooked, role of statistics in environmental sampling design and subsequent exposure risk assessment. Joseph Ofungwu, PhD, is an environmental professional with over eighteen years of hands-on experience in environmental practice, including contaminant impact analysis, human health and ecological risk assessment, pollutant fate and transport modeling in ambient air, soil, ground and surface water. Dr. Ofungwu is also Visiting Assistant Professor with the Urban Environmental Systems Management Program at Pratt Institute and teaches statistics courses for professional engineer license maintenance requirements.